By actively imagining the future, we may be able to practice at it and develop not only ideas and projects but critical cultural responses to the new and the unknown. Kristina Andersen is assistant professor at the Future Everyday cluster of the Department of Industrial Design. She is interested in how we can allow each other to imagine possible technological futures through the making of exploratory objects. The question she deals with: How can we innovate, design and act around that which is yet to be imagined? Technology is yet another material we can use to construct visions of a possible future, from our point of view in our everyday lives. This ‘practicing at the future’ allows us to investigate our ethics and cultural responses when faced with the unknown. From the start of her career, Andersen has been interested in examining these questions through technology and media. Game research projects analyzing community building and exploring emotional communication, real-interactive media installations based on wearables, and collaborations with and about the music industry. Until recently, Andersen was part of the Making Things Public art research program at the Gerrit Rietveld Academie and taught at the Instruments and Interfaces master’s degree program at the Royal Conservatoire in The Hague. Andersen was a longstanding member of the e-culture committee at Stimuleringsfonds Creatieve Industrie, and currently acts as expert reviewer for H2020, ICT and FET for both application and project reviews. 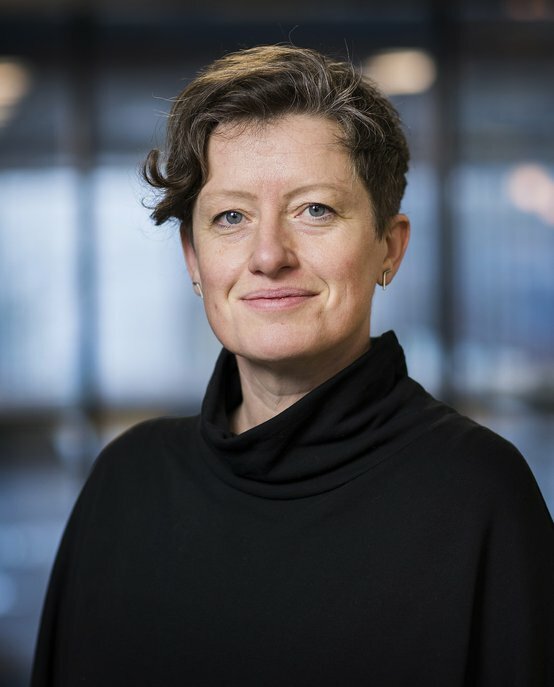 Kristina Andersen obtained her MSc degree in Virtual Environments from the Bartlett School of Architecture of University College London, UK, in 1998. Since then, she has collaborated widely with national and international research institutes, cultural organizations and industry as researcher, engineer, lecturer and mentor on topics such as games, design, media and music. Andersen was initiator, principal researcher and work package leader on GiantSteps - a collaboration between music research institutions, manufacturers of software and hardware for music production and performance, R&D companies and music practitioners funded by the European Union. She set up and taught the combined MA between STEIM and Sonology from 2011-17. In 2017, she obtained her PhD on Computer Human Interaction from KTH Royal Institute of Technology in Stockholm, Sweden.